Travelers planning their first trip to Italy often decide to see one (or more) of the country's major tourist destinations: Rome, Venice, Florence...perhaps the Amalfi Coast. But if you're a repeat visitor looking for something new, or perhaps a traveler looking to spend a few days away from the tourist crowds? Then consider spending at least 2 or 3 days in Bologna. This northern Italian city is easy to reach and offers a unique view on Italian history, art, industry and culture. Whether you enjoy museums, beautiful churches, stunning art or delicious Italian food, this city has something to offer to delight you. It's also relatively affordable compared to some of those other more popular destinations! 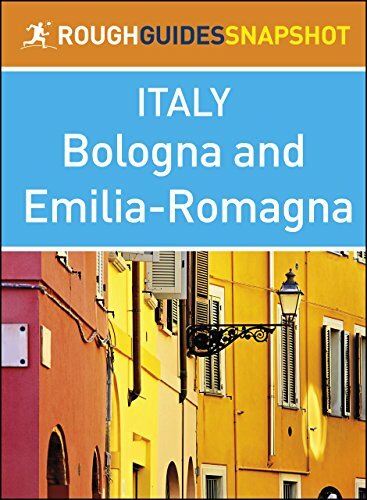 Here I'll share some of my recommendations for getting a taste of Bologna, should you choose to spend some time here on your next—or perhaps first?—trip to Italy. All photos on this page were taken by the author, sockii or her partner David, unless provided by Amazon. A trip to Bologna feels like a trip back in time, with its medieval historic center. 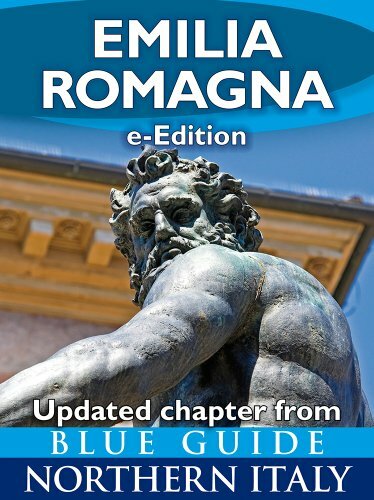 Bologna is both the largest city and the capital city of the Emilia-Romagna Region in Northern Italy. It is currently the seventh most popular city in all of Italy and has long been an urban center of the region, going back to the Etruscans and the Celts. Perhaps most interestingly, Bologna is actually home to the oldest university in the world, the University of Bologna, founded in the year 1088. The city still has the feeling of a university/college "town", with currently about 85,500 students in its 11 schools. That scholarly history and importance keeps Bologna vibrant with young people eager to learn, and museums where visitors can glimpse that rich educational past. Also unique about Bologna is its well preserved city center—one of the largest in Italy, with Medieval towers, lengthy covered porticos, historic churches and other architectural attractions. Indeed, a walk along some of the narrow streets in the historic center feels very much like a walk back through time, and it is easy to imagine how the city might have looked hundreds of years ago. One of the covered walkways, or porticos, that make the historic center of Bologna so unique architecturally. The Piazza Maggiore in the heart of historic Bologna. The Basilica di San Petronio is notable for its unfinished facade. The historic feeling and atmosphere of Bologna is still here, even after the city suffered major damage during World War II. Its location makes it a transportation and manufacturing hub for all of Italy, and in the nearby region outside of Bologna you will find many factories and industrial areas: perhaps not the prettiest for tourists, but very important for the economy and global importance of Italy. You can learn more about the history of Bologna at wikipedia. If you are a food lover, then you absolutely have to make sure to visit Bologna. This is especially true if you are a fan of hearty meat, cheese and pasta dishes as these dominate the menus in the city's many restaurants, food shops, bars and other eateries. The heart of the city's cuisine beats in the Quadrilatero market, a series off narrow streets just off the main square of the city center, Piazza Maggiore. Stepping into those streets is truly a step back in time, as they are set up much as they would have been during medieval times. Stores selling cured meats, cheese, wine, pasta and produce are everywhere, and may have tables set up where you can sample a plate of the day's specials along with a basket of bread and a glass of wine or a beer. It makes for a perfect lunchtime stop while exploring, or a light early dinner if you choose. But of course, it's also worth trying the classic meat ragu, known in other parts of the world as "Bolognese sauce". Served over fresh-made pasta or layered in baked lasagna, you simply have to try it here! Local cured meats and cheeses. Fresh pasta with meat sauce. Cocktail culture is also a fun part of exploring Bologna, perhaps because of the city's large college/young adult population. You will find numerous cafes serving old fashioned and trendy cocktails alike, often with an assortment of snacks or even a full food buffet if you choose to pay a few dollars more. It's a cheap way to make a meal while enjoying a cool drink—especially nice in the hot summer months! My sweetie, a physician himself, has long wanted to visit Bologna for its importance in the development of medical knowledge and science. Indeed, right off Piazza Maggiore you can visit the famous Anatomical theatre of the Archiginnaso, a magnificent room decorated with wooden statues of famous physicians—as well as two "skinned" figures illustrating anatomy. This was where students at the time would observe while dissections of human and animal bodies would take place under the supervision of a lecturer. Sadly the original architecture was largely destroyed by bombing during World War II, but it has been recreated with great care, using original materials recovered from the rubble. Also of note are two amazing collections of wax models, also used in the past to help educate and illustrate anatomy and various medical conditions. One of these collections is the Museo Delle Cere Anatomiche, located on the edge of the city center at Via Irnerio 48. A small museum in a University building, you will be amazed at the incredible details artisans managed to build in wax. This collection might not be for the squeamish, but if you have a fascination with medical history and perhaps enjoy a touch of the macabre, it's worth seeking out. More popularly visited is the Museo di Palazzo Poggi. Here you will find a vast assortment of historical collections related to natural history, physics and chemistry, geography, military architecture, and yes, anatomy and obstetrics. Here are some of the most incredible wax models you will see on display, including the famous "Venerina" by Clemente Susini. This model shows a beautiful woman laid at rest in a state of peaceful passing, her abdomen open to expose the organs within for study. David standing in front of some of the amazing wax models in the Poggi collection. Inside one of the impressive halls of the Palazzo Archiginnaso. Besides the anatomy theater, the Palazzo Archiginnaso is worth visiting to see some of the historic lecture halls (decorated with student coats of arms) and the Civic Library. Enter the main courtyard and you will feel like you are stepping back in time. Inside the National Art Gallery of Bologna. If you love classical painting, then the National Art Gallery of Bologna (Pinacoteca Nazionale di Bologna) is a must-see. This considerable museum focuses on 13th-18th century works by artists of Emilia, perhaps most notably Guido Reni—you will see a tremendous collection of his works here. Also on display are paintings by notable Italian artists such as Titian, Tintoretto, Raphael and Giotto. This museum is on the edge of the historic center but well worth the walk. And it is not very heavily visited, either, meaning you can truly take your time to appreciate the works on display. Take a break from the city in the peaceful Bologna Botanical Garden. The Bologna Botanical Garden (Orto Botanico dell'Università di Bologna) may seem a bit disappointing to those used to the grand botanical gardens in the United States. However, it is quite historically important as far as the development of botanical sciences in Italy...through the University of Bologna, of course! Free to explore, it makes a pleasant, quiet stop away from the busy city street, and you may find students sitting out studying while you explore the surroundings. It is very close to the Museo delle Cere anatomiche, if you've decided to visit there, and the Pinacoteca as well. The Sanctuary of Santa Maria della Vita is a must visit, to see the stunning terracotta sculpture by Niccolò dell’Arca, "Lamentation over Dead Christ". Six incredibly detailed and lifelike figures stand over the body of Christ, each of their expressions filled with sorrow, shock, and grief. The sense of motion and emotion in these figures is absolutely breathtaking...if you see only one work of art in Bologna, make sure to see this. You can also step foot in the path of many religious pilgrims before you and follow the path from the historic center to the Sanctuary of the Madonna di San Luca. What makes this trek so unique is that you will spend all 2.5 miles of it under the covered porticos of Bologna: the longest uninterrupted portico in the world! 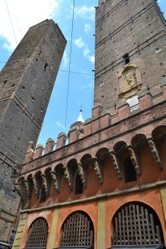 It's hard to get too lost when walking around Bologna...just look for the tallest tower! The Bologna train station is outside of the historic center but not a very long nor expensive taxi ride from there, or you can take a local bus or even walk to your hotel, depending on where you are staying. The Hotel Touring is a small, modern and relatively inexpensive hotel I recommend, just on the edge of the historic center and an easy walk to many of the major city attractions. Have Time to Travel Outside of the City? If you have more than one or two days in Bologna, you might want to spend a day exploring some other nearby attractions. Bologna Gourmet Food Tours offers day and half-day excursions where you can experience nearby Parmesan cheese or balsamic vinegar production, taste meats at an actual salami "Museum", or even take a cooking class or go truffle hunting! Do you love sports cars? 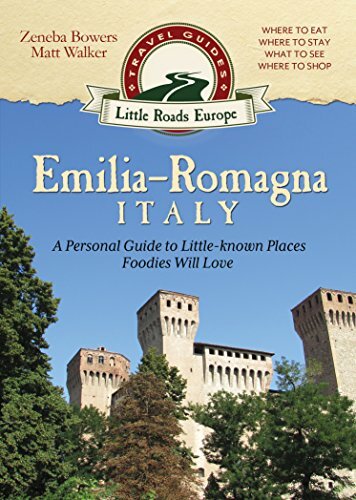 Then you should know that Bologna is very near Emilia-Romagna's "Motor Valley" and you can tour car museums and factories...maybe even take an Italian sports car for a test ride! MotorStars offers tours to get up close to Ferrari, Ducati, Lanborghini, Pagani and Maserati factories and could be just what you're looking for it you need an adrenaline rush. You might also consider a day trip or overnight stay in another nearby historic town, such as Ferrara, Parma, or Cremona. The Basilica di Santo Stefano in Bologna. Most of the historic center of Bologna can be explored on foot as it is not that large. But do bring a good pair of walking shoes! Cars are actually banned in the historic center during the day, but keep an eye out for scooters and cycles zooming past when crossing the street. Bologna is far less "touristy" than other major Italian cities I've visited, but I did not find it hard to get around with just my very basic Italian. Given the large international student population of the town, many languages can be heard spoken here. Although it is less touristy, you should still keep your wits about you when near major attractions or if taking photos of historic buildings. We did get approached by a few persistent beggars who needed firm response in order to go away, and our hotel desk did advise against carrying too much cash (or important documents like your passport) on your person unless required. If you visit when school is not in session, you might find many shops and business shuttered close. So plan your trip, especially if just for a few days, for when the attractions you want to visit are going to be open. 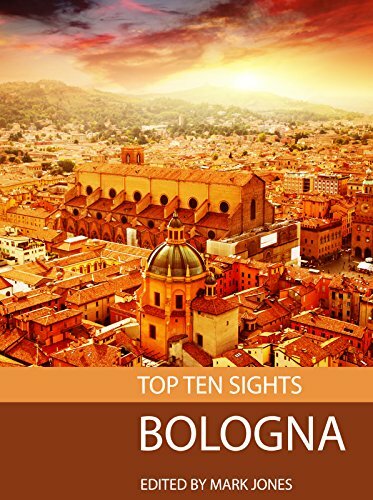 Trip Advisor's Best of Bologna - Learn more about the top attractions, hotels, restaurants and tours available to enjoy in Bologna, based on other travelers' reviews. 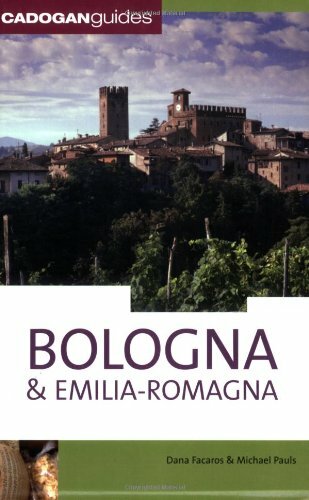 Bologna Welcome - An official tourism website with current events, travel itineraries, and more information on things to see and do around Bologna. 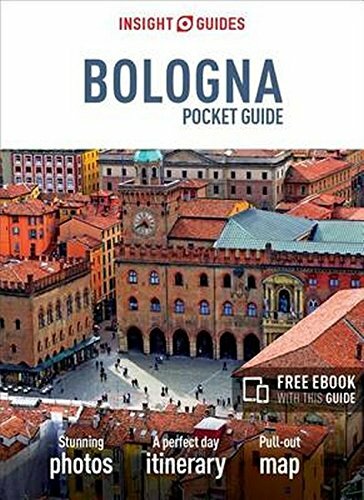 Bologna Travel Guide at Wikitravel - A good overview of the city and tips on getting around. This looks like a diverse place, as you have shown so many different aspects of enjoying the city. Your photos really show the atmosphere of Northern Italy, which really is quite distinct as Italy was at one time lots of little homelands before Unification. I am glad you posted this as by coincidence, a school I taught at was twinned with Bologna in Italy. Unfortunately, the year I was scheduled to go with the school I was unable to go to Bologna as I had "major family commitments ". I missed my turn. That's family life but I have always wanted to go. The beautiful food photos, narrow streets and magnificent architecture - I must get there.